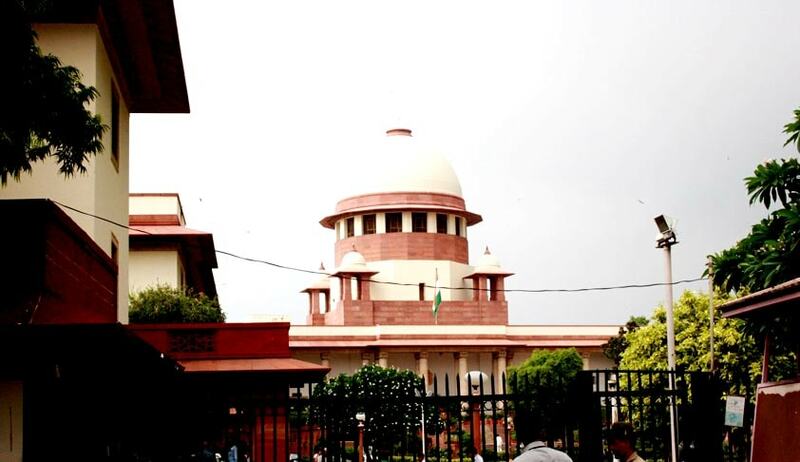 Acting on a plea seeking a court-monitored probe, the Supreme Court today asked the Centre to file a comprehensive report on the status of investigation conducted by a special investigation team (SIT) into the 1984 anti-Sikh riot cases. In November, the government told the Supreme Court that it has decided to launch fresh scrutiny into 286 cases related to the 1984 anti-sikh riots and is “determined to render speedy justice to affected families”. The submission is significant at a time when the Punjab Assembly poll is closing in and the emotive issue is once again at the Centre stage. Up to 700 sikhs were killed in the carnage following the assassination of Indira Gandhi. Holding that the “Government has all the right intention to render justice to the victims of riots as early as possible”, the Home Ministry in an affidavit has said 22 cases have already been identified for fresh investigation. The affidavit was filed in a case where in one S Gurlad Singh Kahlon a member of Delhi Gurudwara Management Committee, sought monitoring of the working of the Special Investigation Team constituted on February 12, 2015 to ensure speedy justice to the riots victims. Kahlon argued that the SIT had got an extension for a year. However, there was inordinate delay in prosecution of the cases and further delay would prejudice the trial. But the MHA rejected the plea saying “Since the ministry is already monitoring the progress of investigation which is at an advance stage, there is no requirement of monitoring the SIT by another agency at this stage. Various measures have been taken by the government and the SIT also has been constituted for the very purpose of rendering justice to the aggrieved parties. "Out of the 650 cases registered in connection with anti-Sikh riots in 1984, it had been found that 18 were cancelled and 268 case files are untraceable. The SIT had taken up scrutiny of these 286 cases for the purpose of reinvestigation or further probe. As of now, 218 cases are under various stages of scrutiny. So far, 22 cases have been identified for further investigation. The SIT has issued public notices with regard to these 22 cases prior to proceeding further”, the affidavit said. Explaining the “inordinate delay” alleged by the petitioner, the ministry said lapse of 32 years was taking a toll on collection of relevant documents and case files from police stations and courts. In many cases, documents were in Urdu or Gurmukhi which and this was delaying their scrutiny. "The cases being very old, there has been difficulty in collating and scrutinizing records. It is also ensured that the cases are properly examined before any decision is taken," it said. "Notwithstanding the difficulties, the SIT has taken up the challenge and all efforts are being made to examine the cases minutely and due care is being taken to scrutinize the cases with a view to render speedy justice to affected families," it said. The government said the home ministry was monitoring the progress in SIT probe into the cases every fortnight. The Centre had constituted a committee headed by G P Mathur on December 23, 2014 and the committee on January 22, 2015 had recommended setting up of an SIT. On the basis of the recommendation, the government set up an SIT on February 12, 2015 comprising IPS officer Pramod Asthana as its chairman. Members of the SIT were ex-district judge Rakesh Kapoor and additional DCP Kumar Gyanesh.